Our striking new website is easy to use and navigate. 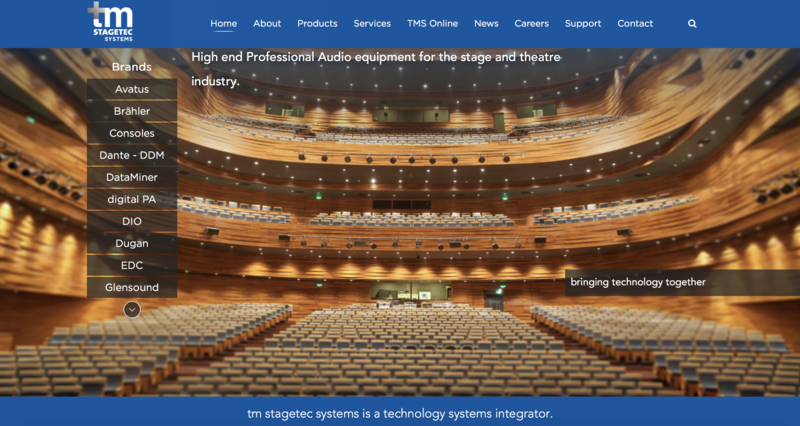 The fresh new design represents tm stagetec systems as a company and what it is that we do. – a clean and simple layout with easy to use menu options and search function. – online shopping – via our TMS Online store. – all new Services/News/Careers sections to keep everyone up-to-date with the latest information.